Breast Augmentation Surgery-Cosmetic Procedures in Delhi-Cosmetic Surgeon in Delhi-South Delhi Cosmetic Clinics. 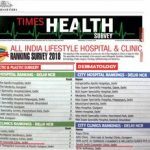 You may not be a celebrity, but you can have curves and shape like any celebrity or model with the help of cosmetic surgeon of South Delhi cosmetic Clinic in Delhi, India. Our cosmetic doctors understand importance of beauty for you, and they know how to carve your body to give you a stunning and natural beautifully carved body. To improve decreased breast volume after pregnancy. To balance a difference or asymmetry in breast size. As breast reconstruction surgery following breast surgery like breast cancer surgery. With this female breast surgery you can enjoy a fuller bustline, firmer breasts and the kind of symmetry you have always desired. A number of procedures have been described for the breast enhancement but breast implant has been the most popular and safe method with long lasting and natural results. Like any successful cosmetic procedure, it provides a boost to self-confidence and self image. Before considering for breast augmentation one should know how it is performed and of the potential risks associated with it. 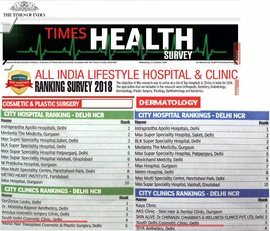 If you are searching for cosmetic surgery in Delhi our surgeon will help you making decision and answering your entire query during consultation with you. Different methods of Breast augmentation? This is the most common technique of enhancing or enlarging the breasts, usually by the placement of an implant or ‘prosthesis’ behind the breast gland itself or behind the chest muscle situated underlying the breast. These implants are made of silicone. This is most popular method and has produced highly satisfying results among women. This is another technique that has not achieved general acceptance. 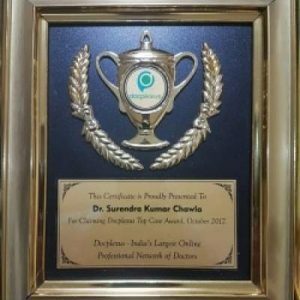 Dr. S.K.Chawla has learnt this technique several years ago by different renowned cosmetic surgeon of the world. The fat was extracted from an area of excess fat accumulation mainly lower abdomen and thigh and placed in multiple small increments behind the breast. It is a careful, precise and successful technique which never reached great popularity because it helps in moderate enlargement. Large amount of fat can create different problems. Suitable only for those women who demand only modest enlargement and they have apprehension associated with surgery. It is performed with hyaluronic ‘filler’ behind the breast. In recent time it has been proposed only for modest enlargement. Hyaluronic filler consist one of the natural component of the body. It might last around 1.5 to 2 years, and the needs to be repeated after that. Breast augmentation is performed by inserting a breast implant, usually filled with silicone Gel, behind the breast tissue or beneath the chest muscles. 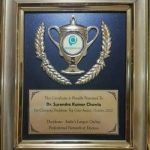 At South Delhi Cosmetic Clinic Dr.S.K.Chawla prefers to utilize the dual plane approach. During this procedure, the implant is placed behind the chest muscle to provide adequate soft-tissue coverage of the implant. While the dual plane approach is best performed through an inframammary incision (made along the fold of the breast), which is not visible after surgery. Dr.Chawla also performs breast augmentation surgery through incisions located around the perimeter of each areola (junction of areola and skin).this procedure is done under general anaesthesia. You may go home same day in the evening. What are some of the potential complications? As with any surgical procedure pain, bleeding or infection can occur after this operation also. The implant may migrate or rotate away from its initial placement, which can cause discomfort or the distortion of the breast’s shape. To correct this problem, additional surgery may be needed. Infection or inadequate tissue coverage can result in the implant extruding through the skin. You may return to your work as soon as you feel comfortable but you are not advised to do any heavy activity. It may take 5-7 days. You are advised to resume only those activities where you don’t get jerks in breast. Why Choose South Delhi Cosmetic Clinic for your breast augmentation? We take the time to listen to your concerns, and to help determine the best options for you. During your initial consultation, we will discuss and guide you what is a realistic and achievable outcome, and what to expect from your treatment. After surgery we follow you strictly according to our schedule and help you in faster and complete recovery. For any further query you can mail us.